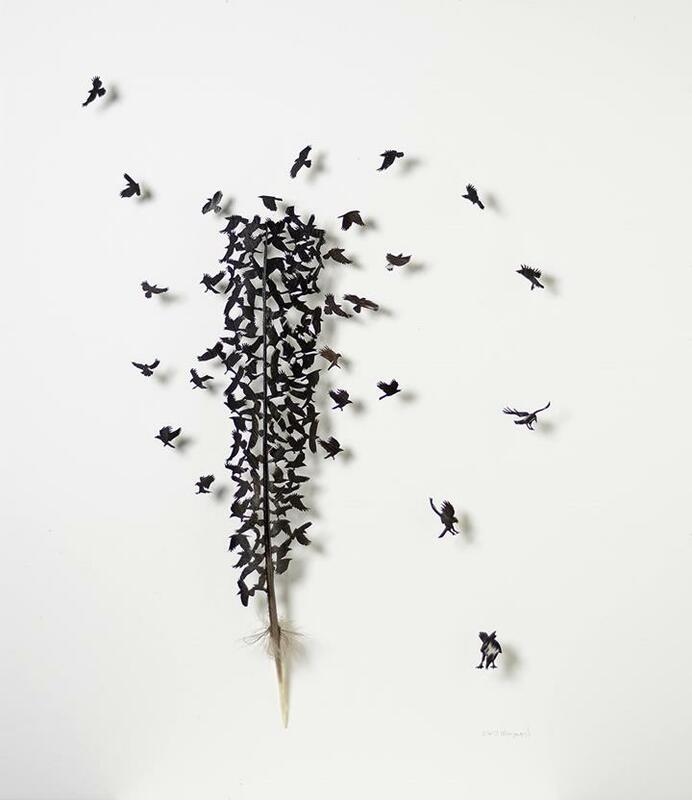 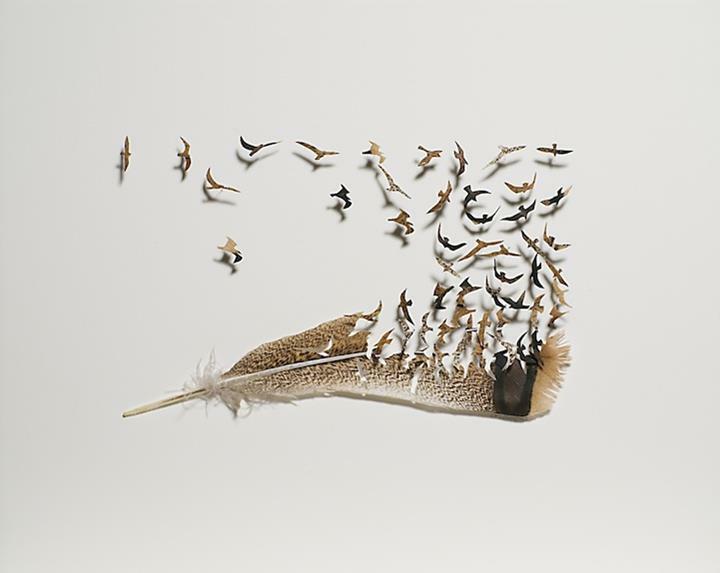 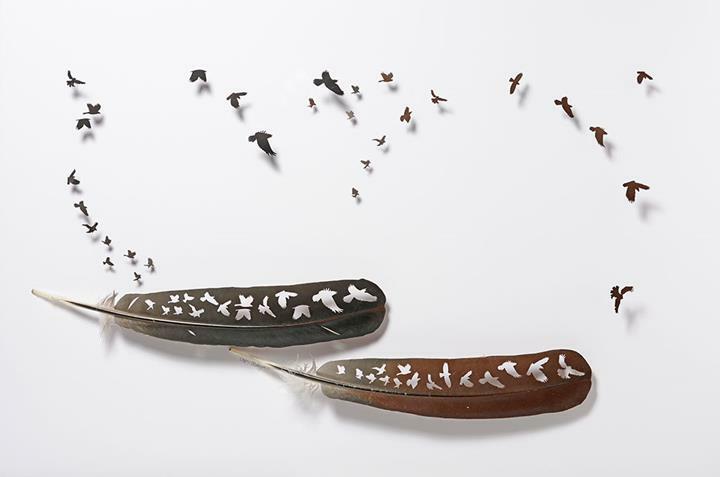 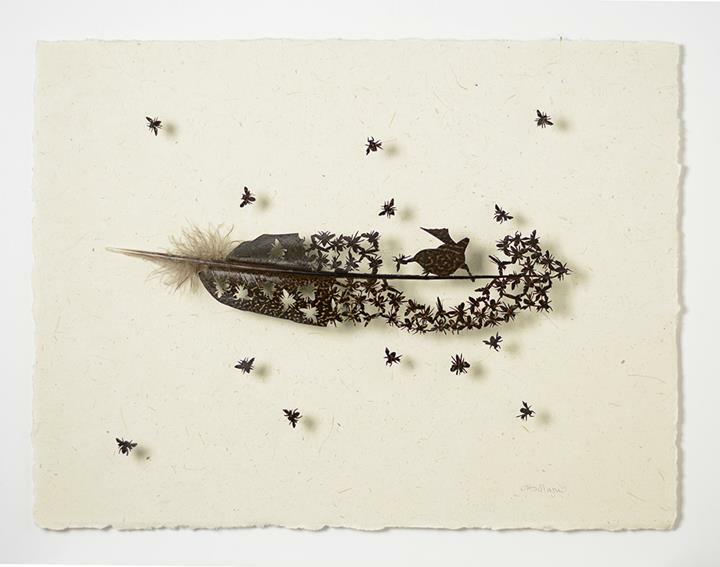 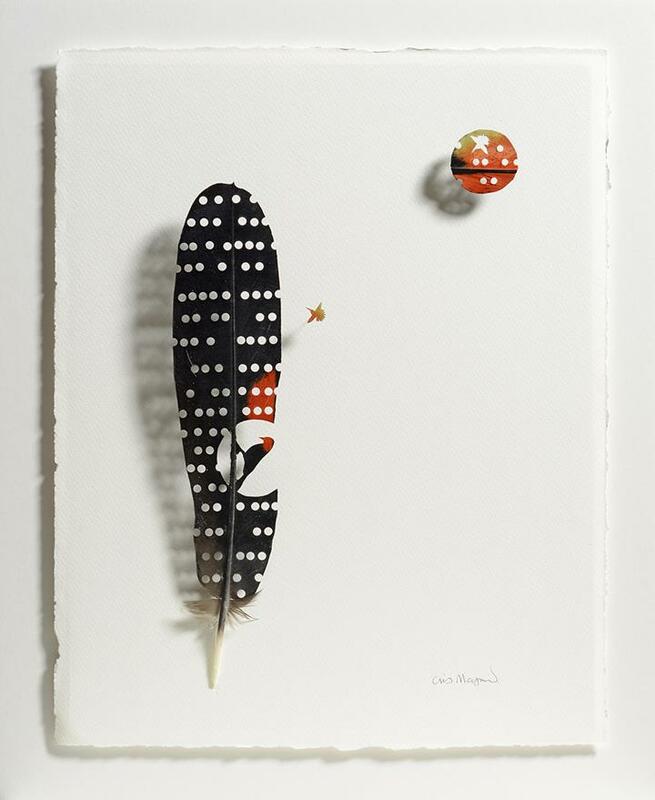 Chris Maynard has worked with feathers since he was twelve, he combines his strong backgrounds in ecology and biology into his art. 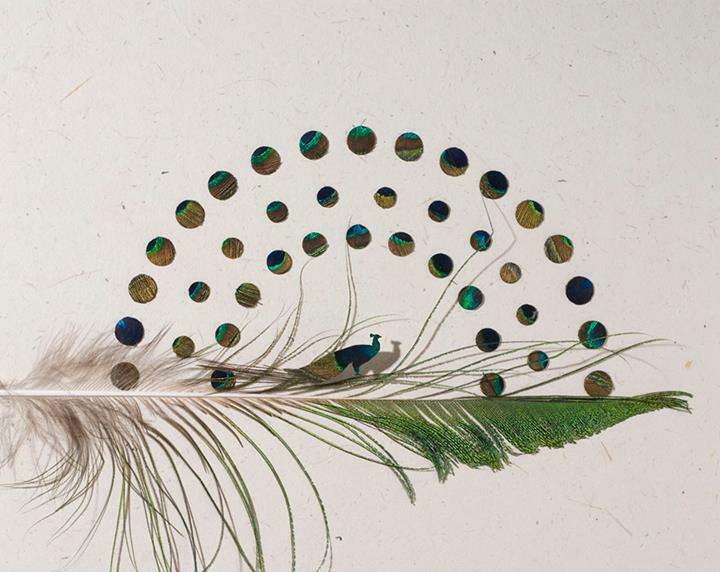 “My work with feathers gives me a satisfying perch from which to view the world,” he says. 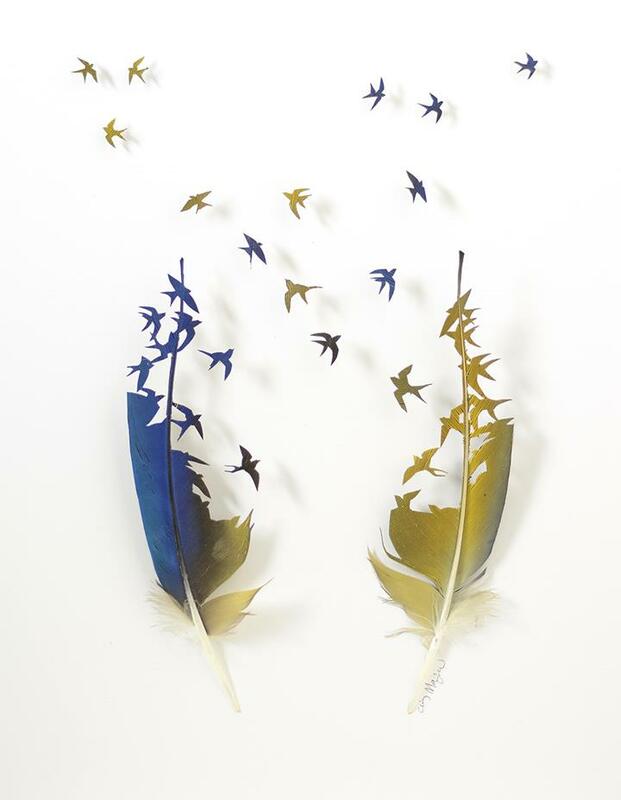 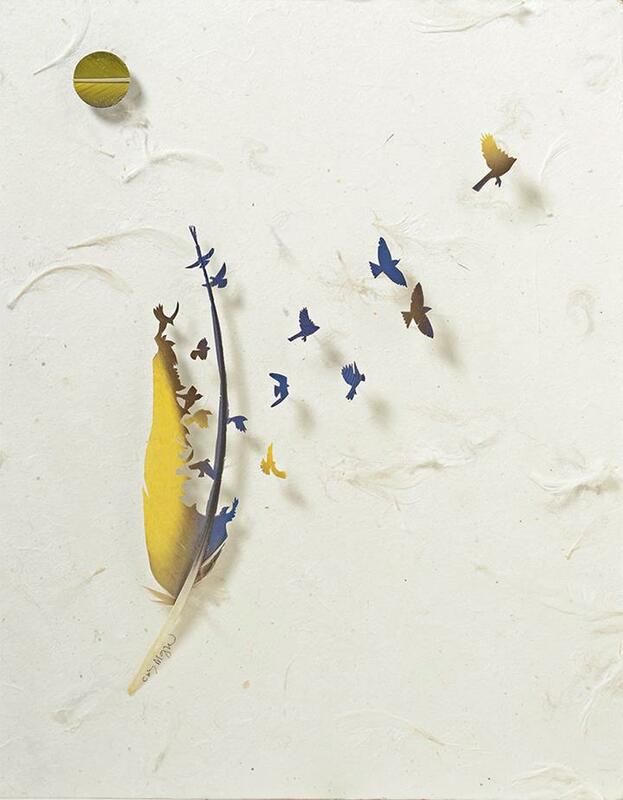 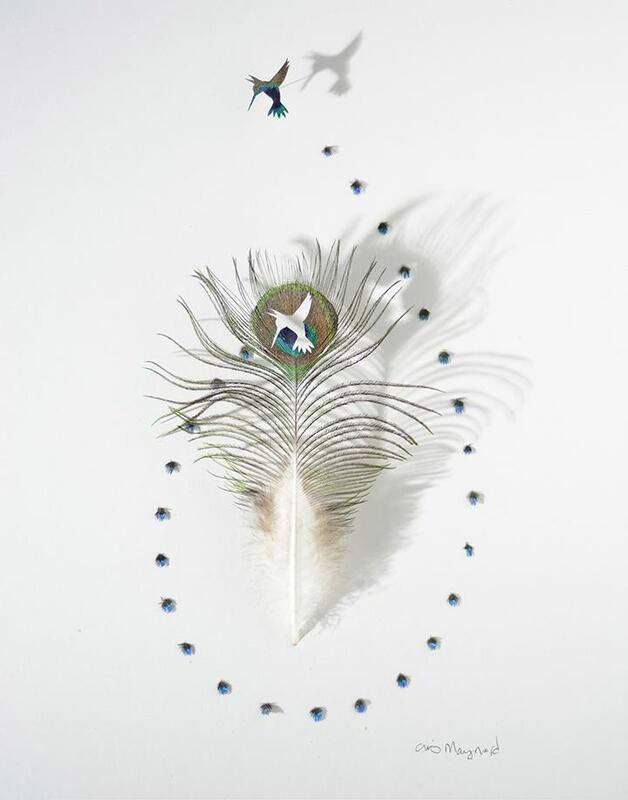 Chris uses the feathers from private aviaries and zoos to make his stunning artworks. 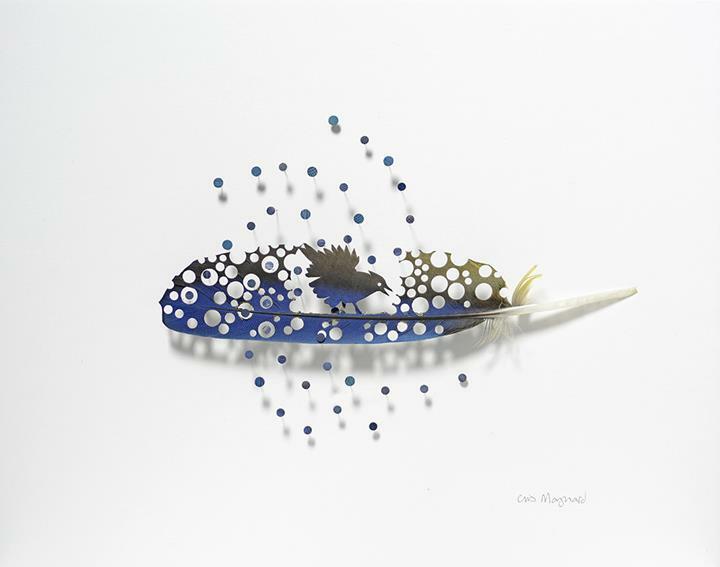 His favorite tools are the tiny eye surgery scissors, forceps, and magnifying glasses passed down through his family.